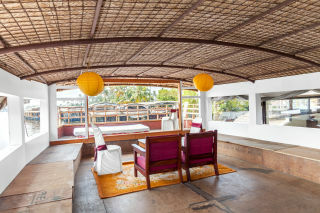 Our Houseboat is provide you all tour related programmes including house boat service. 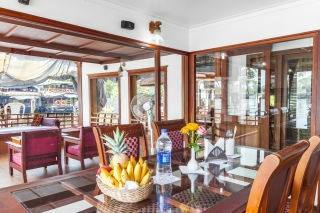 We provide excellent food and good service according to the choice of the guest. 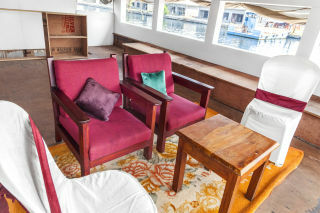 Through House boat we explore Kuttanad , fishing in inland various handicrafts works including coir related manufacturing works. 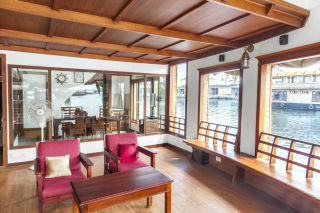 Our houseboat are rare on alleppey backwater.Making of such a premium houseboat is very costly.The bed room of these premium houseboat is very posh and made by rare woods.This houseboat have very beautiful living hall with modern furniture ,LCDand music systems.The living hall of these houseboat are surrounded by glass windows for making the experience of air-condition while cruising time on backwater.Premium houseboat are the top category in alleppey backwater. 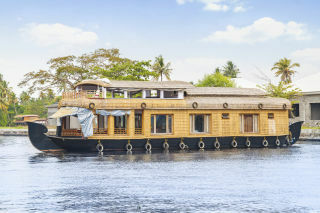 Alappuzha is a district of immense and natural beauty. Referred to as the Venice of the east by travellers from across the world, this backwater country is also home to diverse animal and bird life. 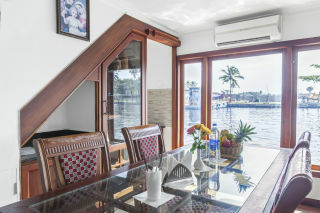 By virtue of its proximity to the sea, the town has always enjoyed a unique place in the maritime history of Kerala.Today Alappuzha has grown in importance as a backwater tourist centre, attracting several thousands of tourists each year. 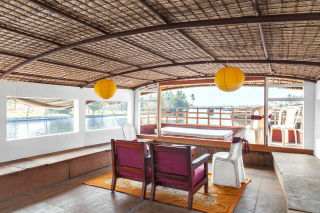 Alappuzha is also famous for its boat races, houseboat holidays, beaches, marine products, and coir industry. A singular characteristic of this land is a region called Kuttanad. A land of lush paddy fields, Kuttanad is also called the Rice Bowl of Kerala and is one of the few places in the world where farming is done below sea level.